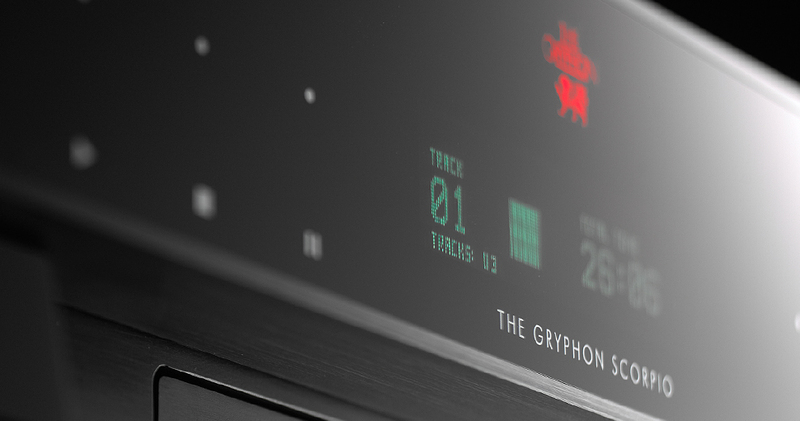 A lifelong dream Gryphon Audio Designs is the brainchild of Flemming E. Rasmussen and the fulfilment of a lifelong dream to allow the purest essence of the live music experience to be recreated in the home environment. 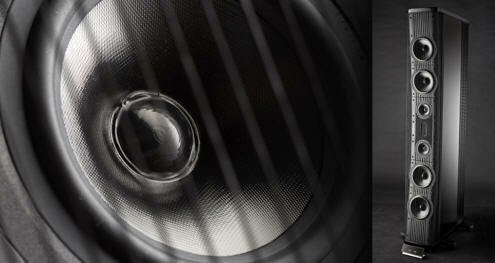 Rasmussen holds a degree in painting and graphic arts from the Aarhus Art Academy, Denmark. 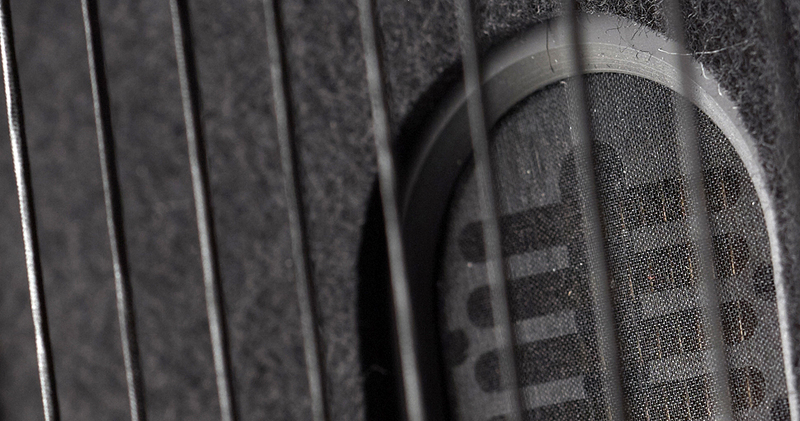 During his studies, Rasmussen developed close relationships with the local music community and designed LP covers and concert posters for many leading local acts. 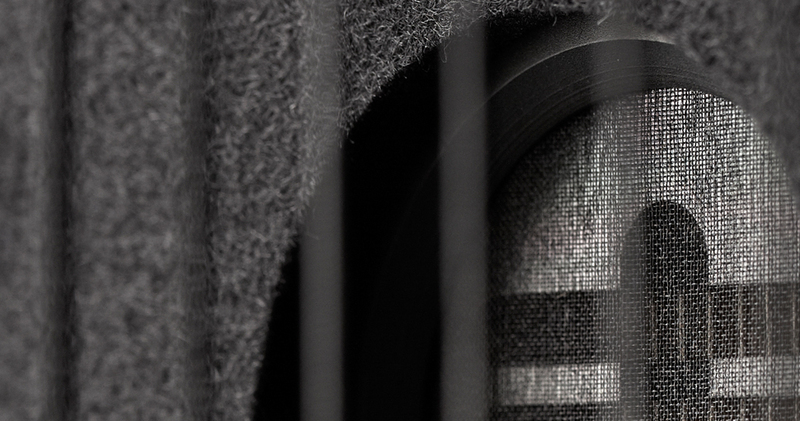 After graduation, he taught photography and painting for ten years before becoming chief designer of textiles and imprints for Scandinavia’s largest sportswear manufacturer, advancing to the position of president of the company’s printing plant before resigning to found 2R Marketing, which quickly became Denmark’s leading High End audio import company. 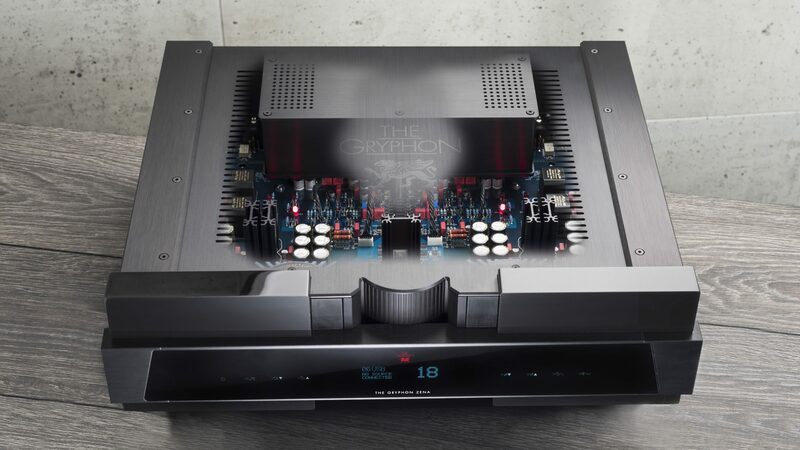 Gryphon Audio Designs was founded in 1985 as an offshoot of 2R Marketing, The first product, the now legendary Gryphon Head Amp, grew from a one-off spare time project developed only for the designers’ own home systems. 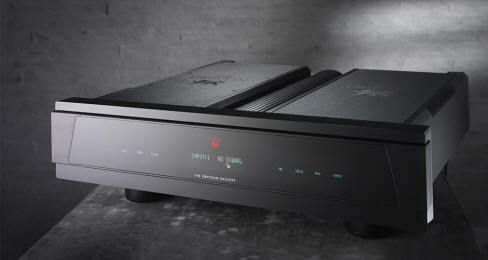 At the 1986 Chicago Consumer Electronics Show, a respected Japanese distributor expressed interest in the product. 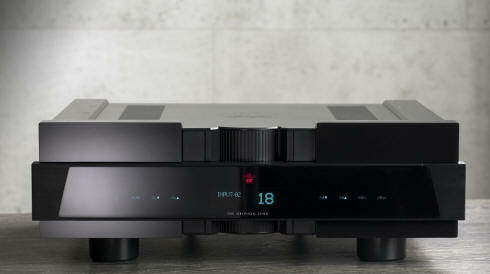 Soon after, the Head Amp was voted “Best Buy” by the Japanese audio press. 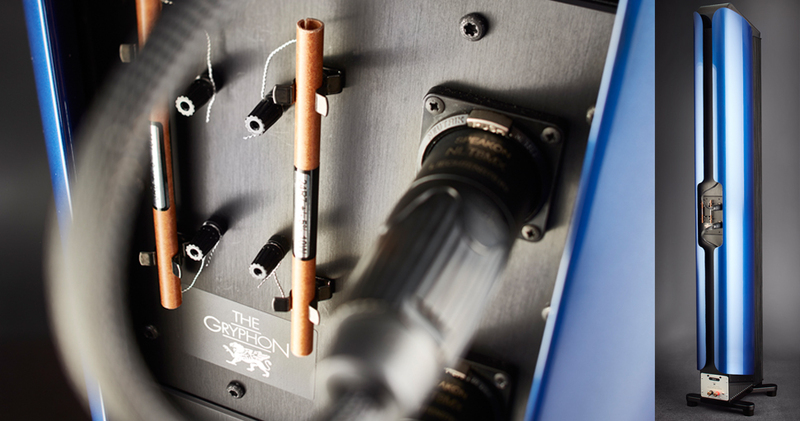 Although the Gryphon project was initially strictly a hobby, not an actively pursued commercial venture, demand generated by reviews and word-of-mouth acclaim led to the formal establishment of Gryphon Audio Designs as a separate corporate entity. 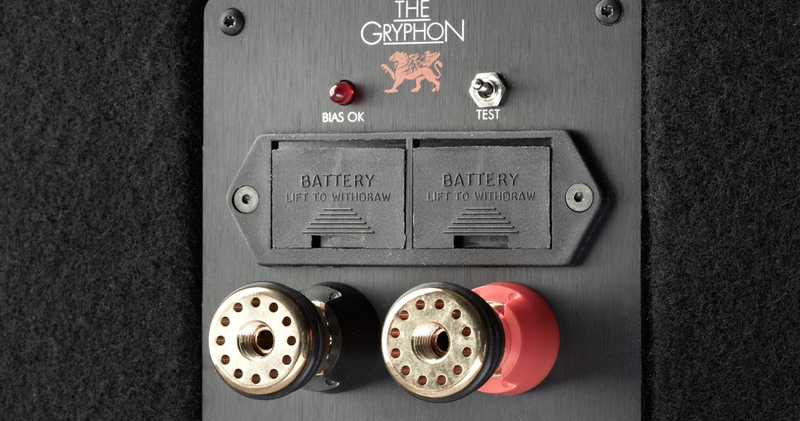 Following the immediate success of the Gryphon brand, all import business was phased out in 1993, so that Rasmussen could dedicate his efforts entirely to Gryphon. 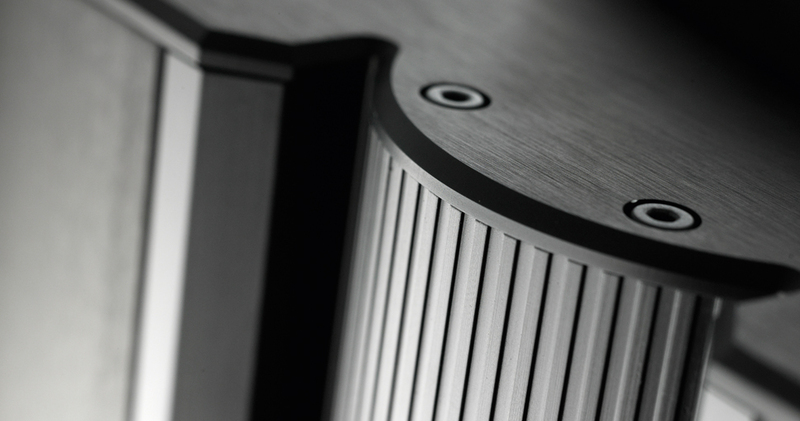 Diablo 120 The concept of an integrated amplifier that embodies the same ethos, musical and sonic qualities as Gryphon Audio Designs’ most esoteric offerings, but at a fraction of the cost, is clearly an attractive proposition and through the single-minded dedication of the Gryphon team, the integrated amplifier has come of age as a serious, respected High End component, bringing legendary Gryphon performance and styling to a new level of affordable cost and ease of use. 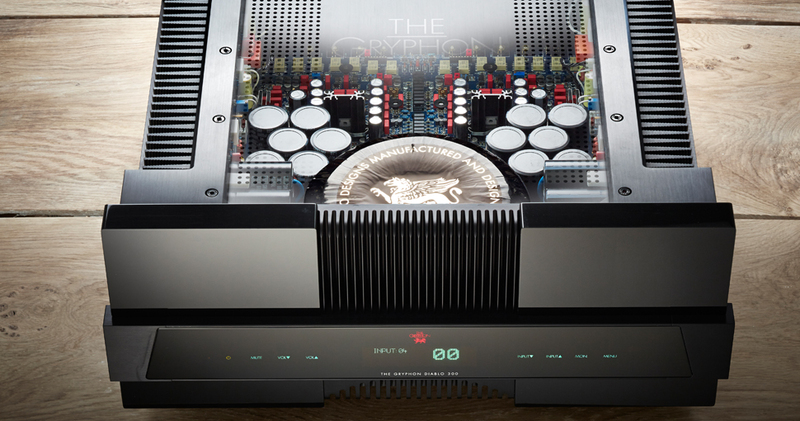 As far back as April, 2009, Gryphon introduced the original Atilla, building on the brand’s impressive reputation as a pioneer in the design of unapologetic integrated amplifiers that can stand their ground against the competition’s finest separate components. 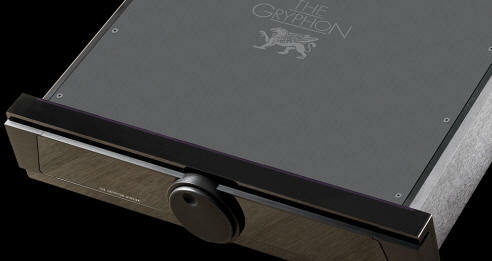 French Haute Fidelité magazine called it a “Best Buy.” Australian Hi-Fi magazine placed it “Easily up there with the very best” and UK magazine Hi-Fi Choice simply called the Gryphon Atilla “one of the very finest integrated amplifiers available.” In continuous production until 2016, the Atilla had a long run that is exceptional in High End audio. 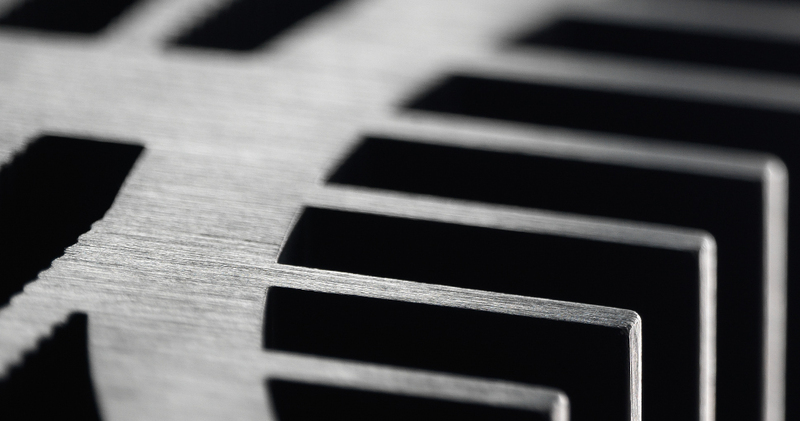 (Sadly, longevity is generally an overlooked and seriously undervalued attribute.) 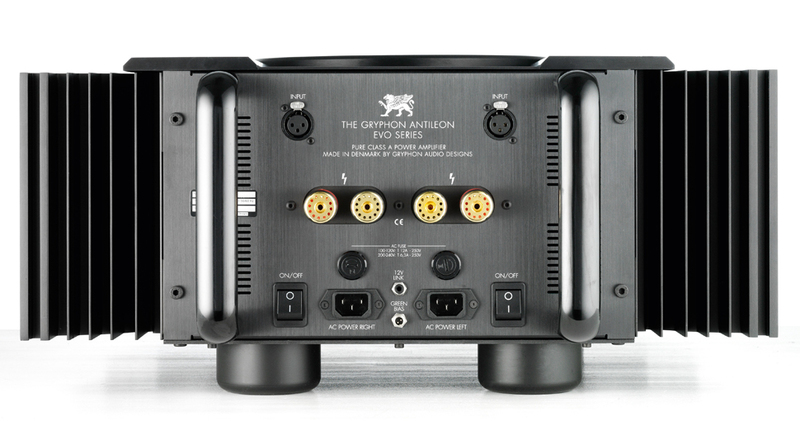 In the interim period, Gryphon has made great advances in the critical fields of circuit topology and parts design and selection with the evolution of the state of the art, cost no object Pandora preamplifier and Mephisto power amplifier.Now, drawing heavily on our experience with these uncompromising, reference level components, Gryphon Audio Designs proudly presents the next generation Atilla, the Gryphon Diablo 120. 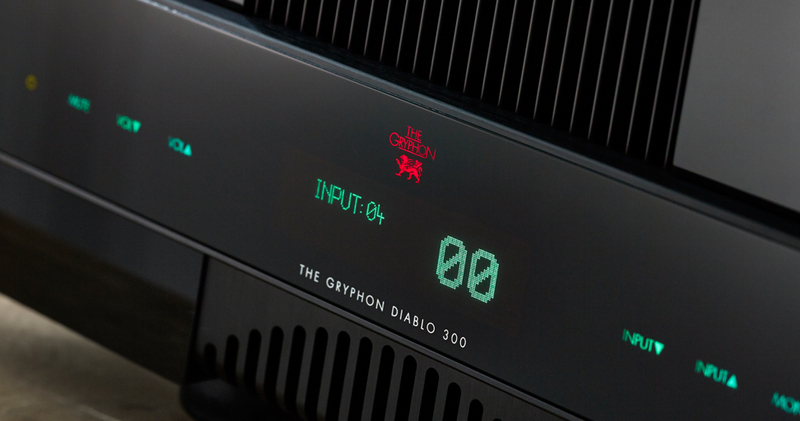 Gryphon Diablo 120 exudes timeless elegance and beauty, informed by the unique vision of Gryphon founder and CEO Flemming E. Rasmussen. 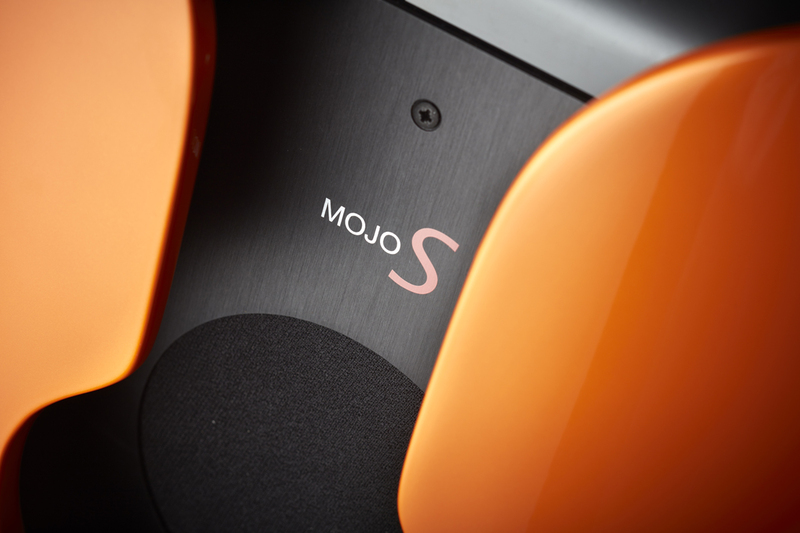 Integrated Greatness The understated styling and forceful lines of the satin black, brushed aluminium chassis and gleaming black acrylic faceplate represent a superb level of fit and finish, exceptional audio finesse and a sense of unlimited power all on a single chassis. 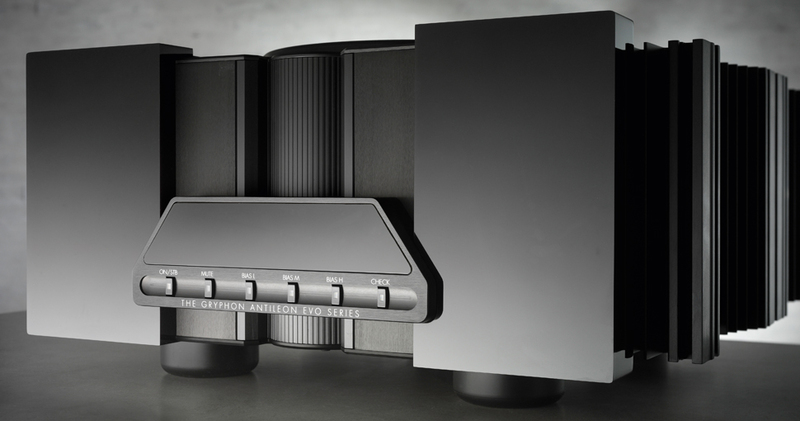 The casework, consisting of interlocking blocks of flawless acrylic and deeply brushed and anodized aluminium, is true to the acclaimed Gryphon house style, a complex construct of contrasting angles and planes that is both reassuringly intricate and impressively solid. 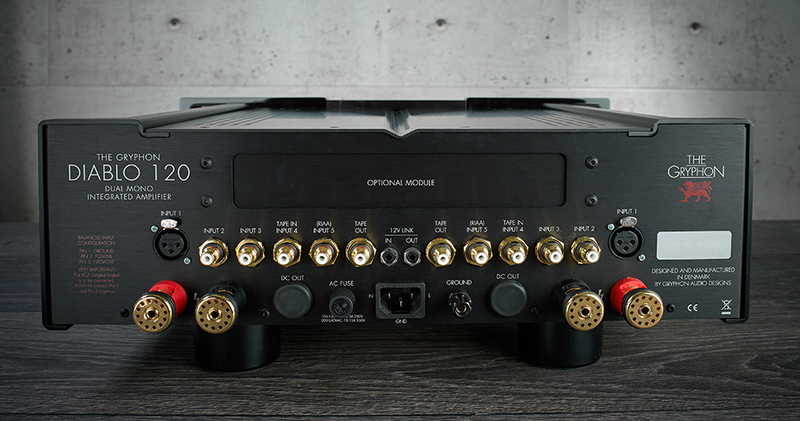 Built entirely at Gryphon’s Danish research and development and manufacturing facility, the Diablo 120 inherits the dual-mono circuitry, ultra-short signal path, heavily gold-plated printed circuit boards, minimal internal wiring, high-quality gold-plated and PTFE-insulated sockets and proprietary binding posts employed in our flagship models. 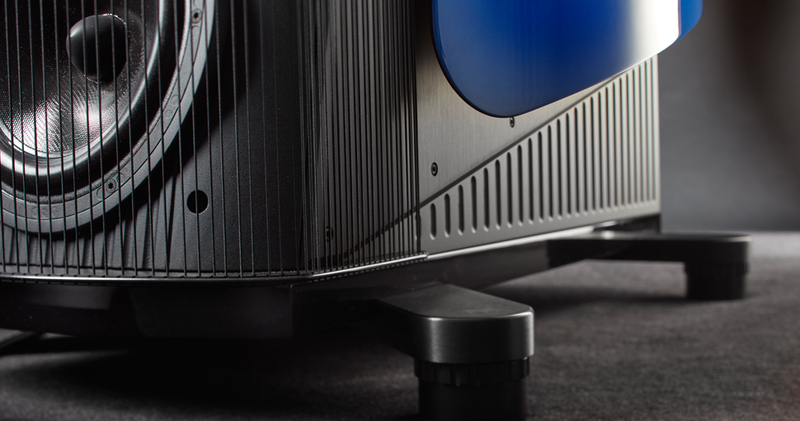 Only the finest audiophile grade components have been selected based on strenuous, extended auditioning for sound quality, thermal stability and long-term reliability. 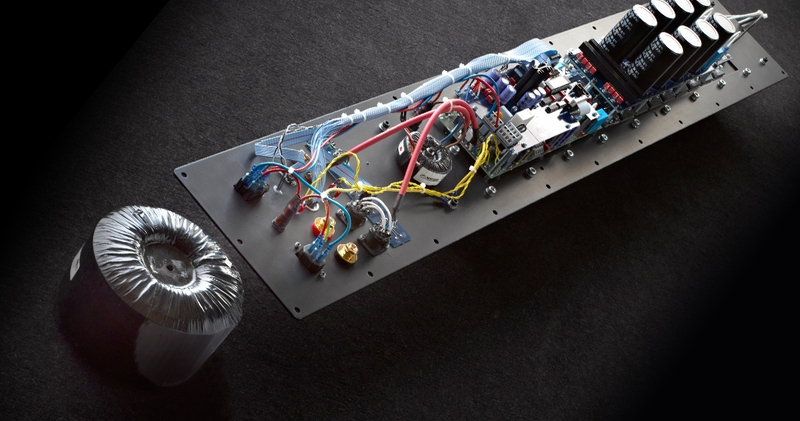 The wire-wound emitter resistors in the original Atilla output stage have been upgraded to non-inductive types for Diablo 120. 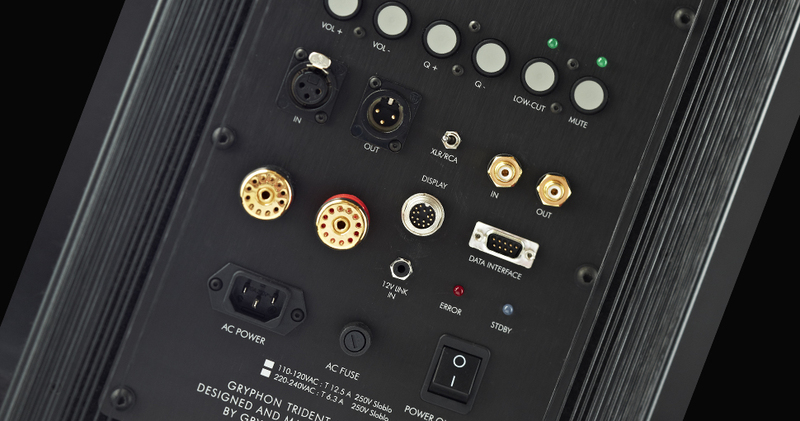 The meticulous attention to electrical and mechanical grounding, typical of our top of the line designs, is also equally in evidence here. 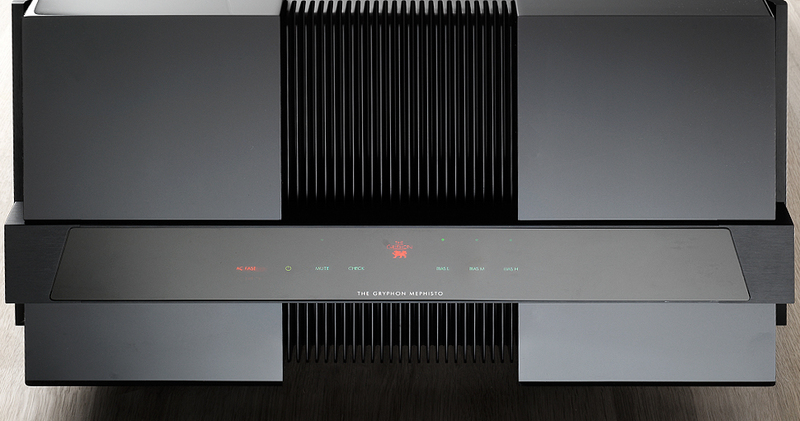 The Diablo 120 integrated amplifier is essentially two independent mono devices for reduced crosstalk and minimal interchannel interaction. 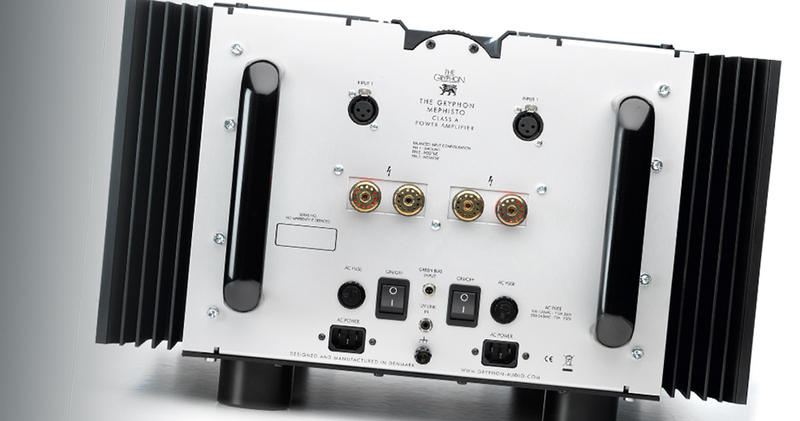 The only things shared electrically between channels are the famed Holmgren toroidal transformer and AC power cable. 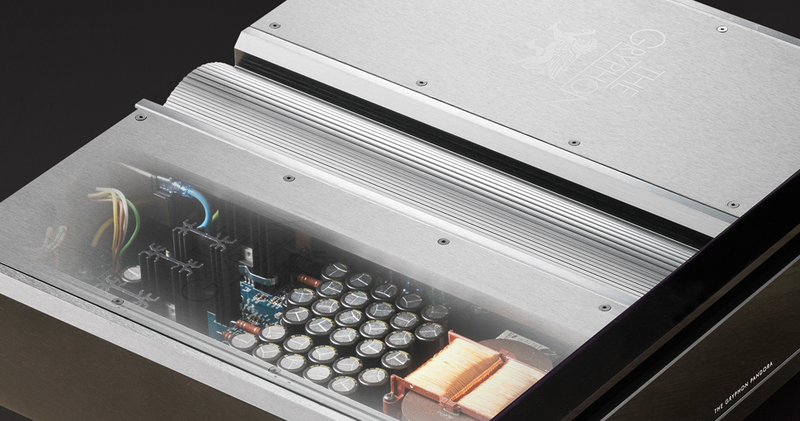 The custom made 1,300 VA transformer adds substantial heft with discrete secondary windings for left and right channels. 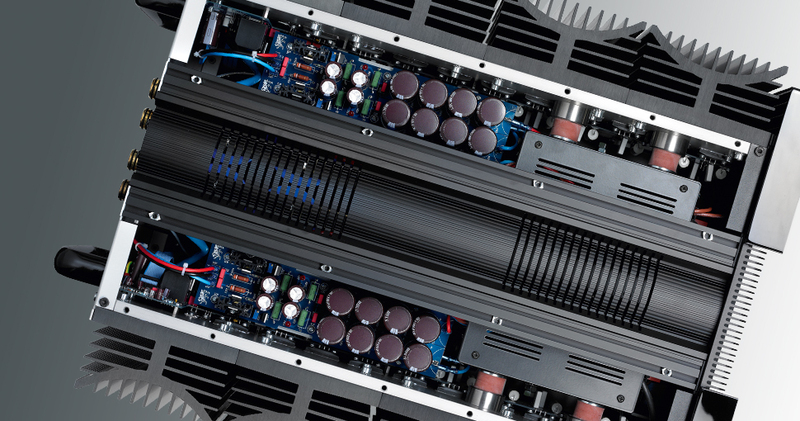 Each channel is fed by its own 60,000 µF capacitor bank. 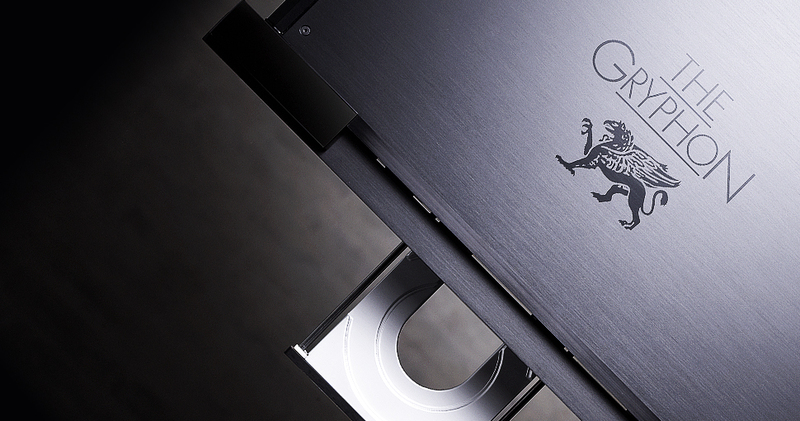 The output power of the Diablo 120 is 20% greater than that of the original Atilla: 2 x 120 W (8Ω), 2 x 240 W (4Ω), 2 x 440 W (2Ω). 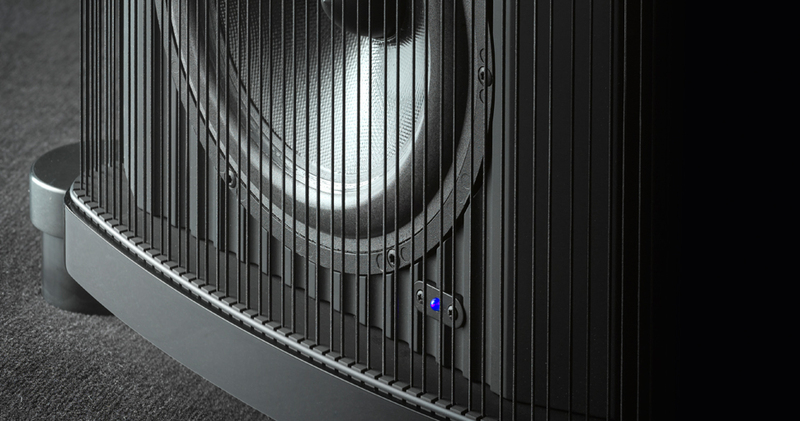 Consistent increases of output power as impedance is halved is a reliable indicator of exceptional high current capability, just as the extraordinary wide audio bandwidth, 0.1Hz to 250 kHz (-3 dB), is a sign of extreme stability. 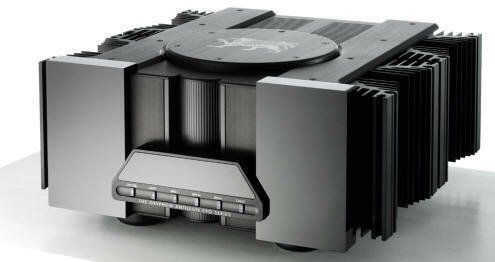 Heatsink surface area has also been increased to match the increase in output power. 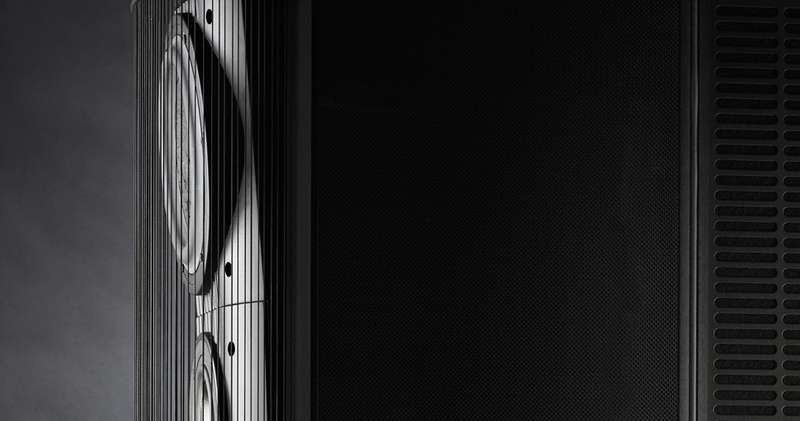 With two pairs of Sanken transistors, Diablo 120 can easily drive difficult loudspeaker loads without the faintest hint of strain. 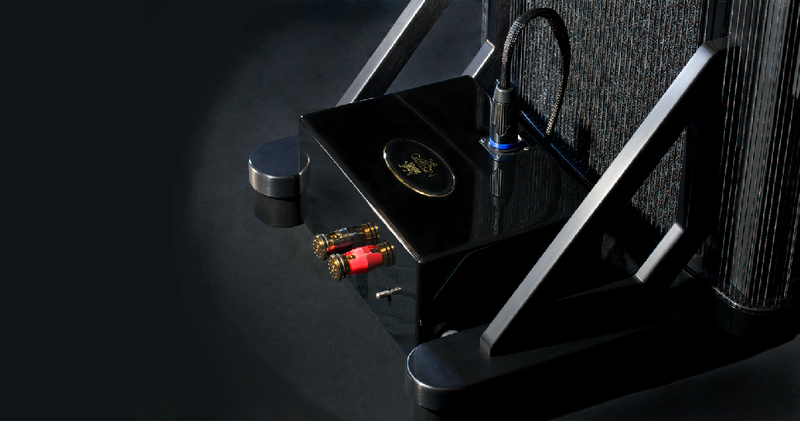 The Diablo 120 circuit employs zero global negative feedback and a unique microprocessor controlled passive attenuator for the most transparent volume control ever conceived. 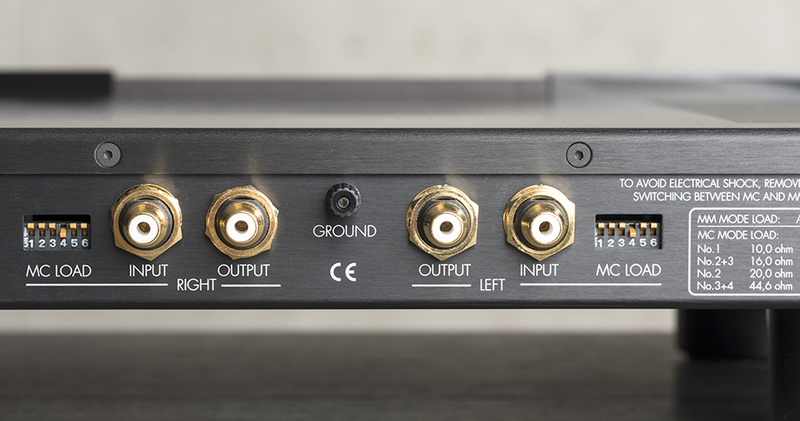 Regardless of the selected level, the 46-step relay attenuator places maximum six resistors in the signal path for ultimate sonic purity. 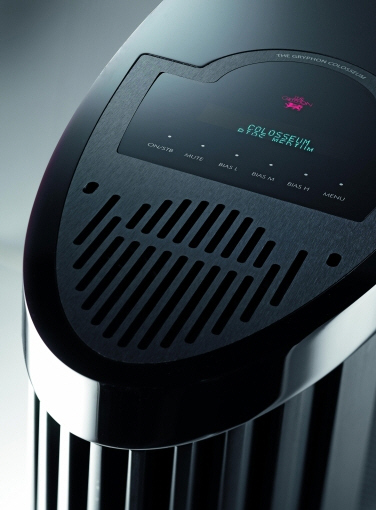 A large, graphical vacuum fluorescent display is employed instead of a more conventional LED character display to provide space for more information and a larger, more easily legible font. 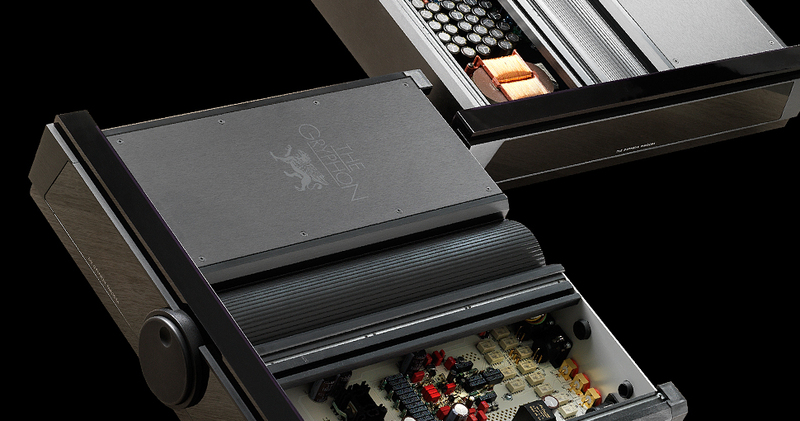 The lavish display and extensive control circuits are powered independently via a separate, isolated transformer in order to eliminate any risk of noise contamination. 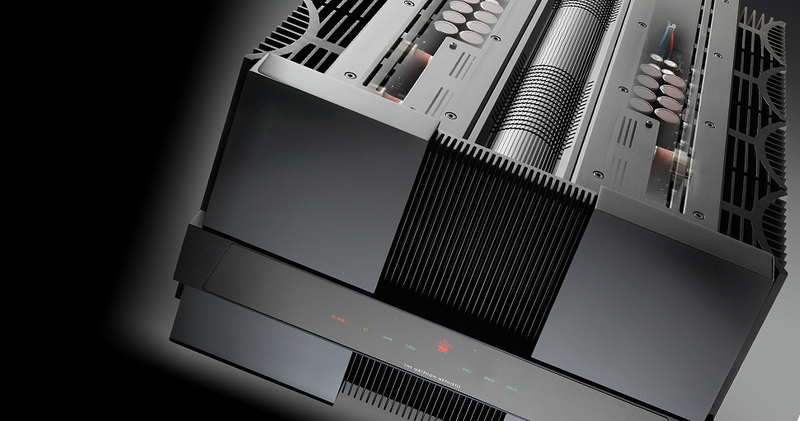 All front panel controls are touch sensitive (capacitive actuation.) 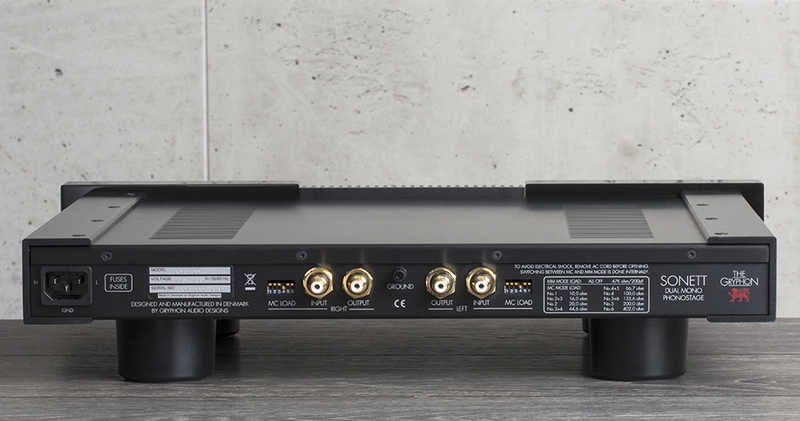 The Diablo 120 offers one balanced and four single-ended inputs, a comprehensive menu of configuration options (four levels of display brightness, user-defined start and maximum volume settings, individual source labelling with eight-character names and a dedicated and electrically isolated A/V bypass function for uncompromising integration with a multi-channel audio system. 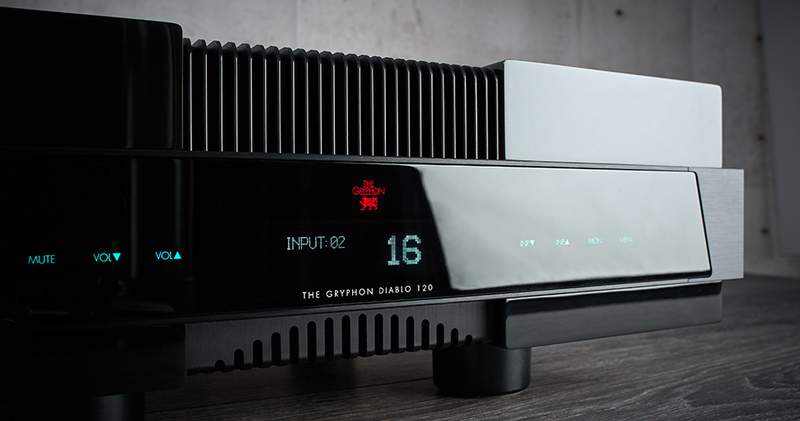 Options – Digital or Analogue At the time of original purchase or as the need arises at a later date, Gryphon Diablo 120 can be fitted with a specially designed Gryphon DAC PCM/DSD module based on the innovative, award-winning Gryphon Kalliope digital-to- analogue converter. 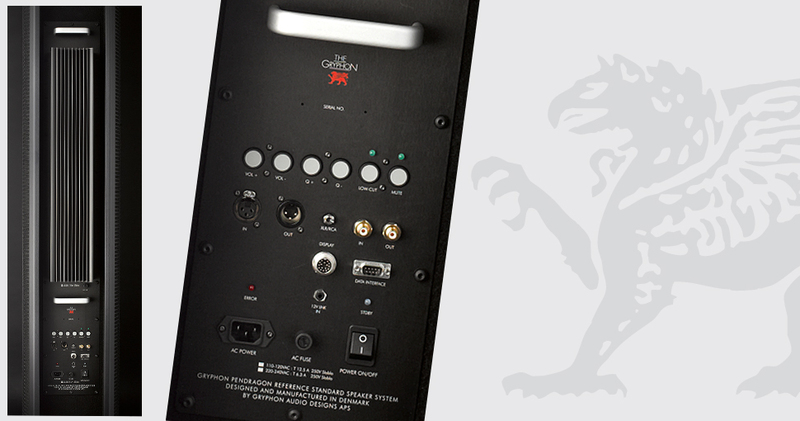 The module adds four digital inputs (USB, balanced AES/EBU 115 Ω, TOSLink optical and BNC S/PDIF 75 Ω). 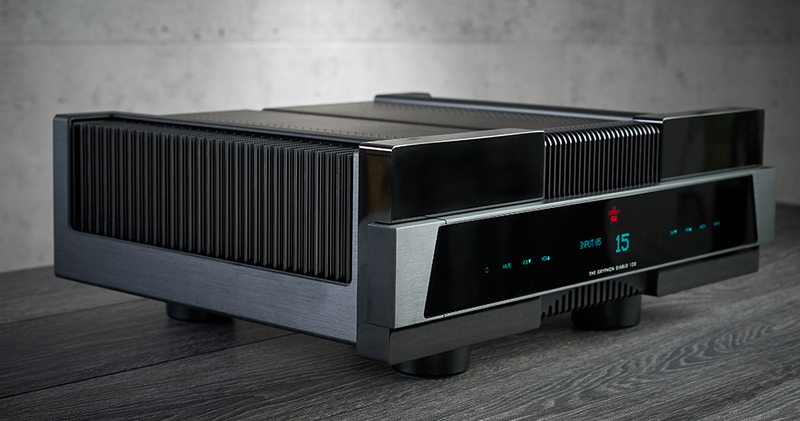 Via USB, the Diablo 120 DAC module can process PCM up to 32-bit/384 kHz as well as DSD (on Windows OS up to DSD512, on Mac OS up to DSD128, on Linux OS up to DSD128 DoP); via BNC S/PDIF and AES/EBU inputs up to192 kHz/32-bit PCM and via TOSLink up to 96 kHz/24-bit PCM. 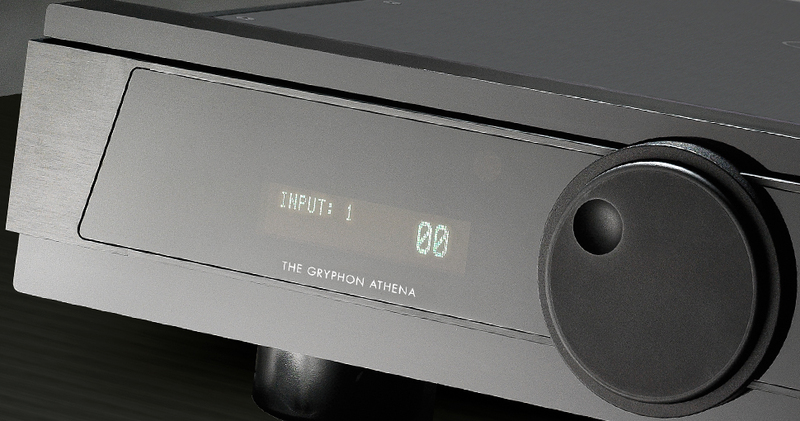 Format compatibility of the various inputs is subject to change without notice. 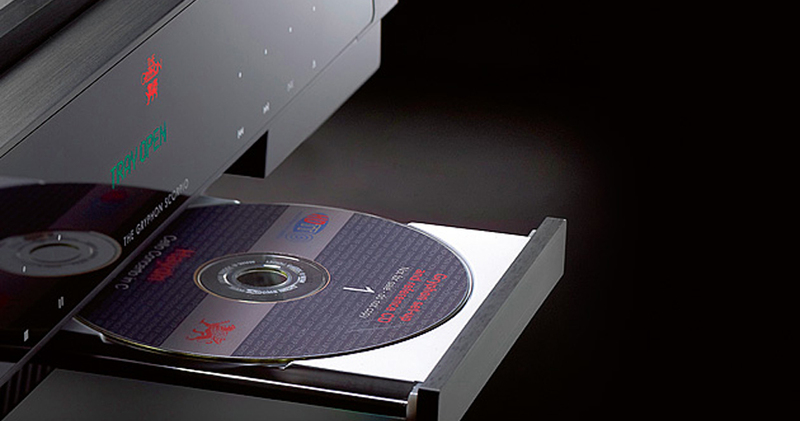 This future-proof digital module is ready for any current or foreseeable high resolution digital format. 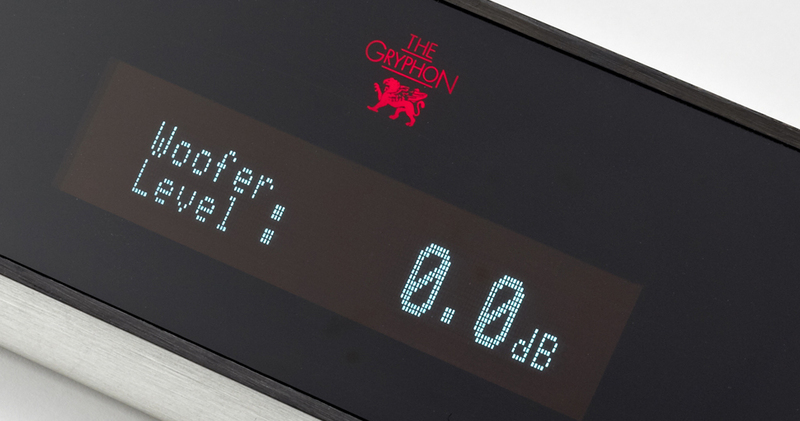 In the finest Gryphon tradition, the Diablo 120 also offers the alternative of an exceptional MM/MC phonostage for the dedicated enthusiasts who continue to enjoy the musical treasures etched in the grooves of the long-playing, black vinyl disc. 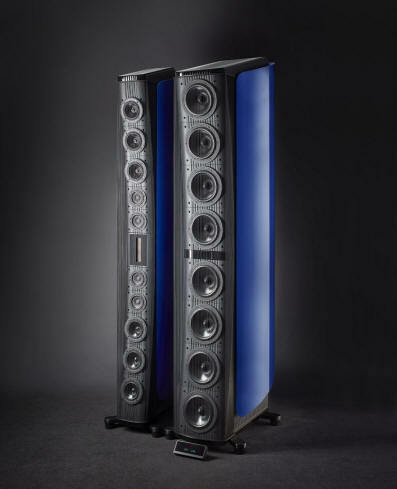 Gryphon Diablo 120 conveys music with unusual poise and exceptional subtlety and definition. 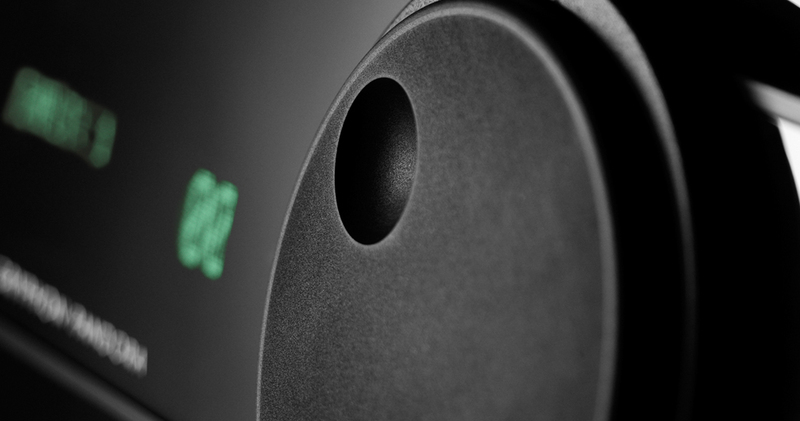 Lightning reflexes combine with harmonic richness, articulation and refinement to create a lush whole that is very comfortable to listen to over extended periods even at realistic levels. 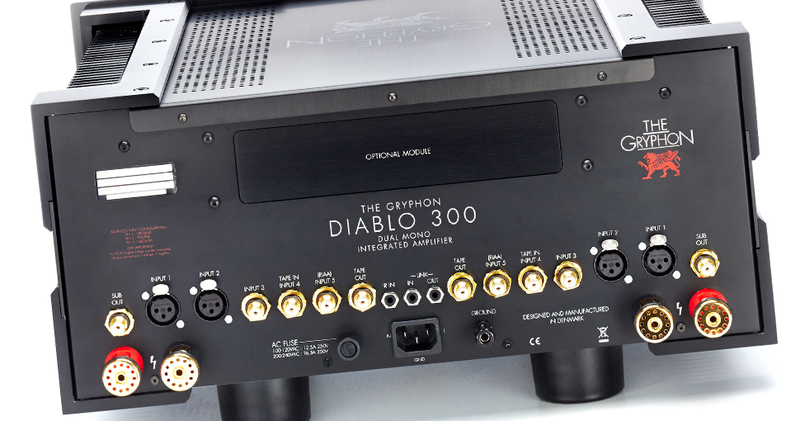 Gryphon Diablo 120 offers a unique level of musical enthusiasm and energy that will satisfy and delight for many years to come. 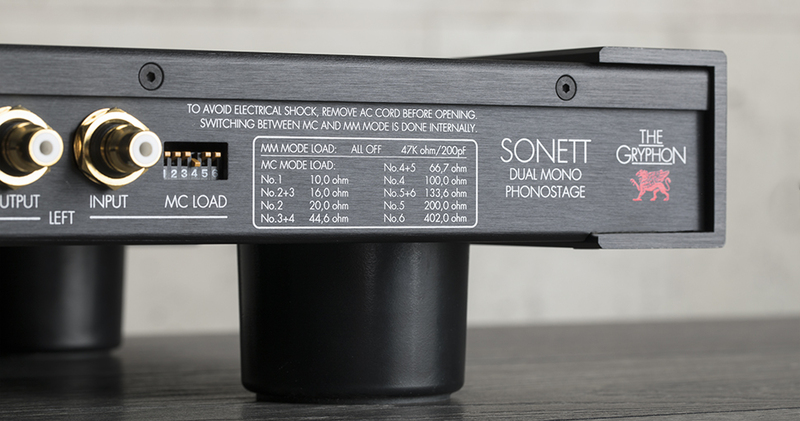 Preamplificatore dual mono con comando a distanza Retroazione negativa nulla, controllo di volume a 50 posizioni regolato tramite microprocessore, nessun cablaggio interno, ampio disaccoppiamento meccanico, connettori XLR Neutric peringresso e uscita bilanciati, uscita AV a livello fisso perintegrazione con preamplificatori surround, display regolabile a cinque luminosità diverse, percorso di segnale ultra breve, circuiti stampati a doppia faccia con tracce in rame da 70 μm. 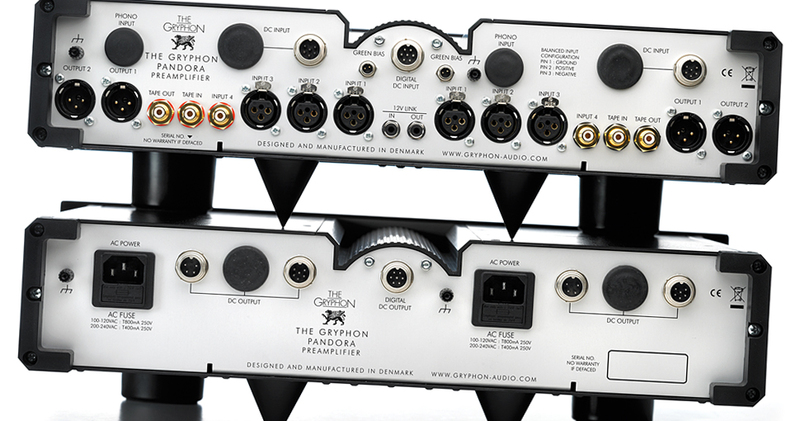 Zena ‘The audiobeat.com website notes simply that: “Any Gryphon preamp or amp is a final destination point for audiophiles, both in terms of performance and price.” Monoandstereo.com injects the following observation based on decades of experience: “It’s hard to keep my enthusiasm bottled, when something arrives for a review directly from Gryphon Audio and Flemming Rasmussen.” Now, in its long-awaited debut, the Gryphon Zena true dual mono preamplifier harvests the fruit of significant advances made in the evolution of the state of the art Gryphon Mirage. 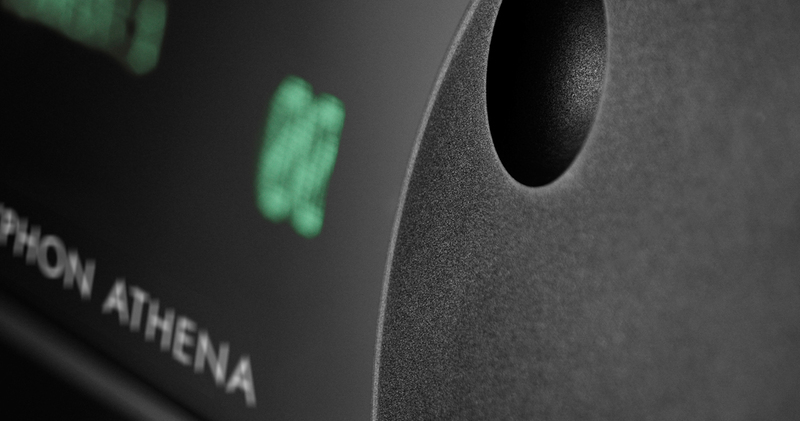 The Zena preamp is based on an exclusive, fully discrete, DC-coupled Class A topology with zero global negative feedback and extended 1 MHz frequency bandwidth, all contributing to high slew rates, extreme transient fidelity and zero treble phase shift for proper focus with fine ambient micro-detail. 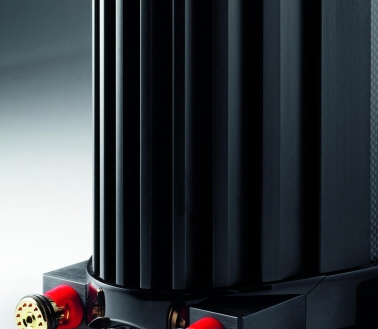 Preamplificatore puro dual mono in classe A totalmente discreta Due banchi di condensatori da 90.000 μF, retroazione negativa nulla, 40 transistor di uscita bipolari ad alta corrente, 3 ingressi XLR, 2 ingressi RCA, 2 uscite XLR 1, uscita RCA (tape), rapporto segnale rumore 20 Hz - 20 kHz < -90 dB, rapporto segnale rumore A < -94 dB, distorsione (THD+N): < 0,005%, guadagno: +18 dB, banda (-3 dB): 0-MHz, impedenza d'ingresso bilanciata: 50 kOhm, impedenza d'ingresso single ended: 25 kOhm, impedenza d'uscita: 7 Ohm. 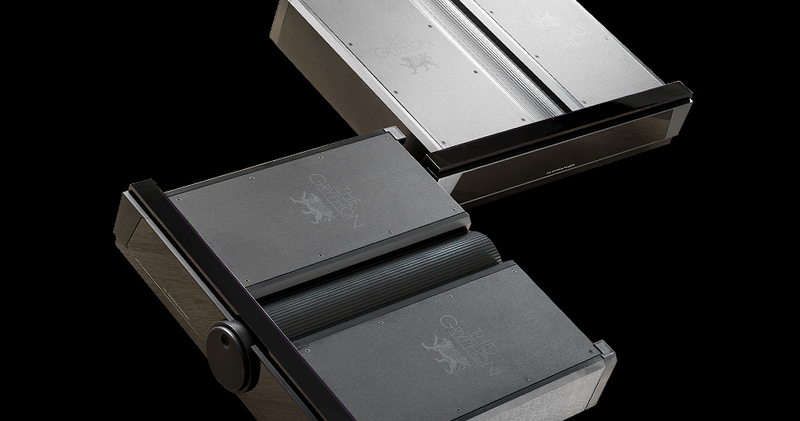 Dimensioni (LxAxP): 2 x 48x13,5x40 cm, peso: 7,5 e 10 kg. 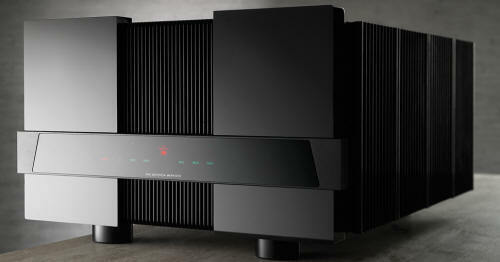 Stadio fono MM e MC Impedenza d'ingresso MC regolabile, soppressione THD + N. vero dual mono in Classe A, componentistica selezionata, retroazione negativa nulla, tracce in rame da 70 μm. 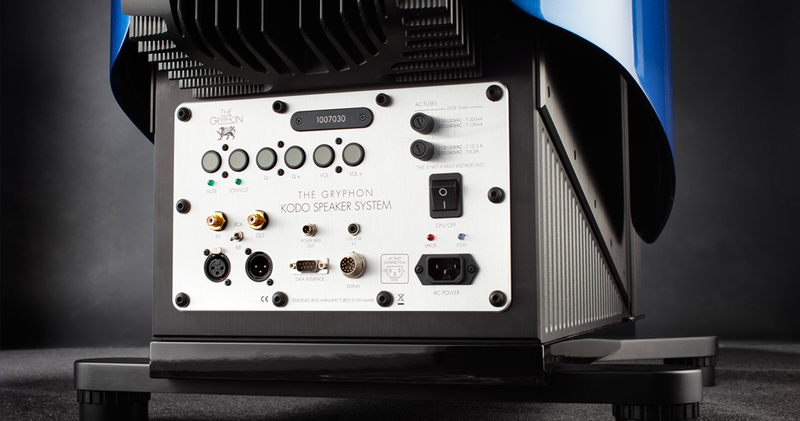 Sonett Gryphon Audio Designs of Denmark have maintained a consistent commitment to vinyl reproduction from the creation of the company in 1985, right up to the launch of the Gryphon Sonett Phonostage. 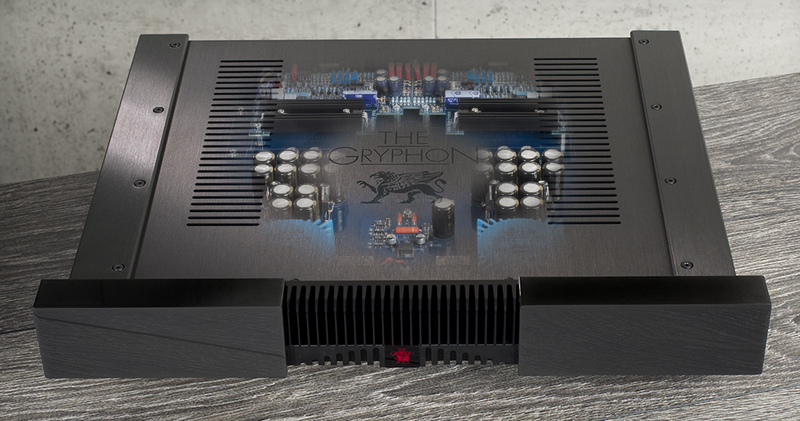 Ultimate LP playback was the inspiration for our very first product, the now legendary Gryphon Head Amp. 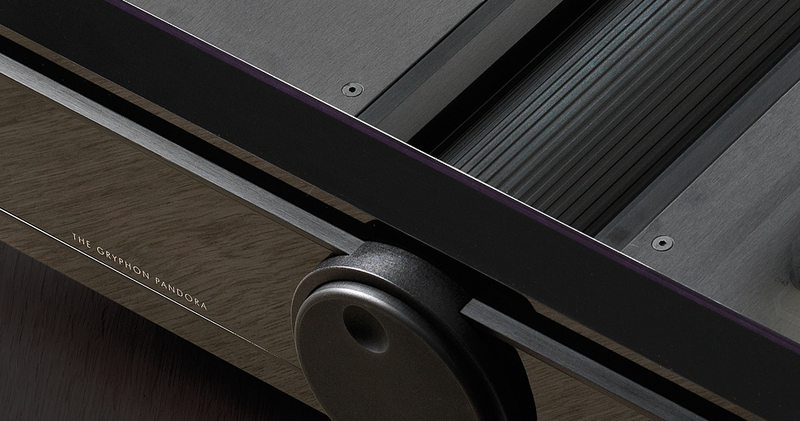 To many, the LP remains the finest high fidelity medium ever offered for home use with a catalogue of titles that never to be rivalled by the compact disc. 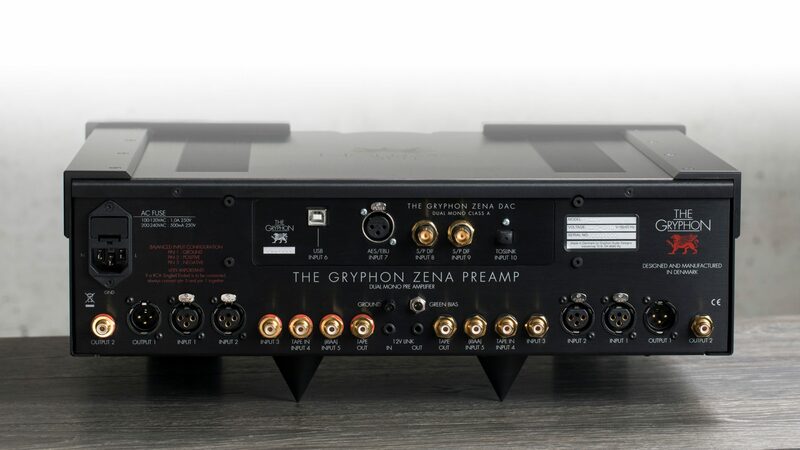 In a concerted effort to bring the performance of the reference level Gryphon Legato Legacy phonostage to more affordable price points, Gryphon initially offered the Sonett in a modular form for optional installation in the Gryphon Diablo 300 and Diablo 120 integrated amplifiers. 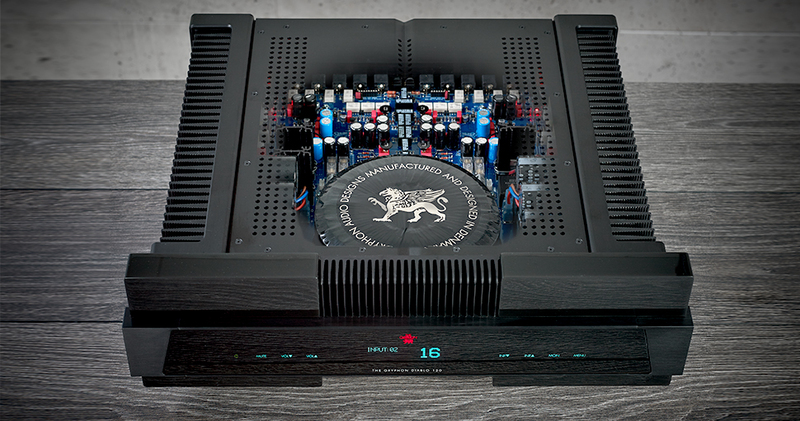 Haute Fidelité (France) praised the module for “some of the most well-defined vinyl playback that we have ever experienced in our listening room.” However, vinyl connoisseurs with other system configurations generated immediate demand for a stand-alone version with independent dual mono power supply that would make the fruits of Gryphon’s explorations into the latest circuit topologies, low-noise component breakthroughs and power supply innovations accessible to all. 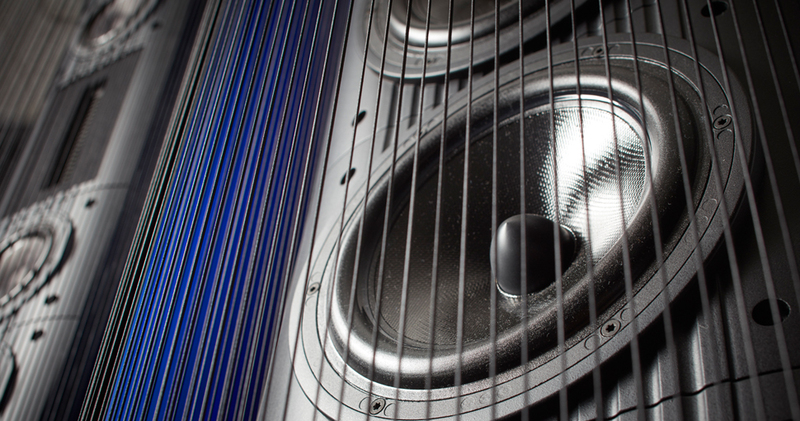 Amplificatore stereofonico in pura Classe A Potenza: 2 x 150 watt su 8 ohm, rapporto segnale rumore 20 Hz - 20 kHz < -78 dB, rapporto segnale rumore A < -81 dB, gamma dinamica: 111 dB, distorsione (THD+N): < 1% @ 150 W, < 0,06% @ 50 W, sensibilità di ingresso: 0,975 V, guadagno: +31 dB, banda (-3 dB): 0-350 kHz, impedenza d'ingresso: 20 kOhm, impedenza d'uscita: < 0,04 Ohm. 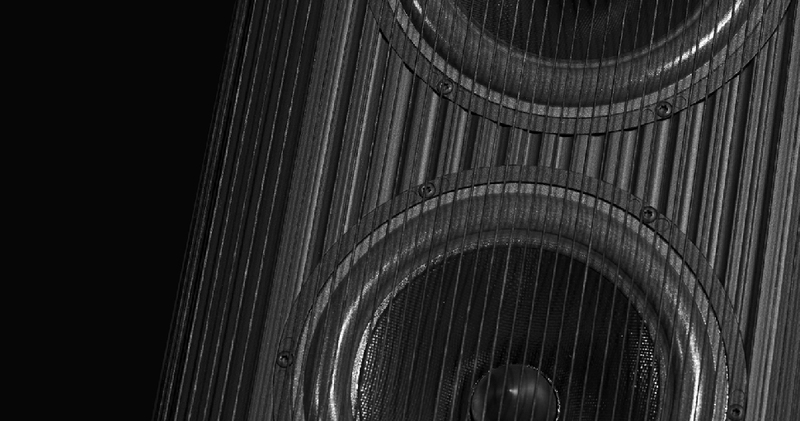 Dimensioni (LxAxP): 57x26x60 cm, peso: 80 kg. 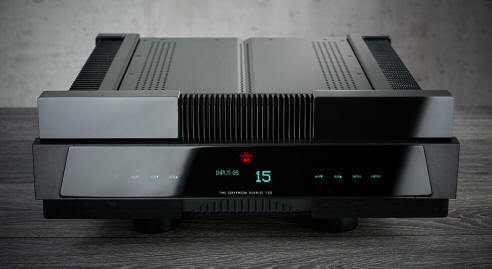 Product features •2 x 150 Watts Pure Class A •Fully balanced input and Voltage Amplifier Stage (VAS) •40 High current bipolar output transistors •670,000 µF power capacitor bank •Newly developed ultrafast J-FET input stage •Custom-developed ultra-low noise regulated power supply for voltage amplifier stage (VAS). 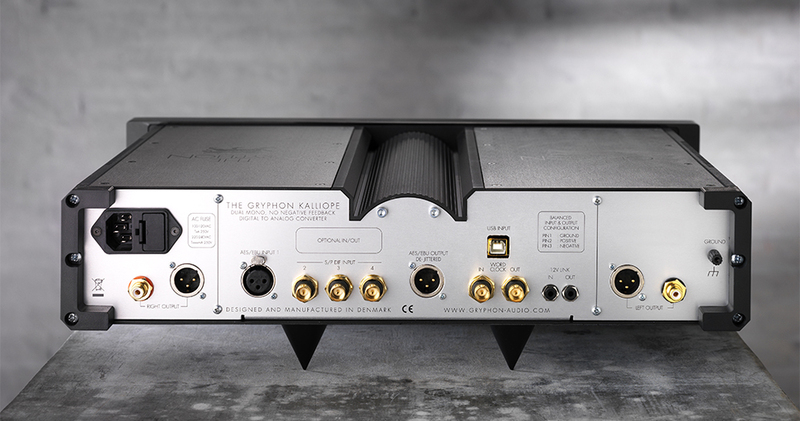 •DC servo circuitry with Mundorf RXF Polypropylene capacitors for power supply decoupling •Takman REY precision resistors •Flat frequencyresponse to beyond 350 kHz •Gryphon Guideline Reference gold-embedded silver internal wiring •Custom-built separate toroidal transformers •Shielded, epoxy-damped transformer casings suspended for effective vibration isolation •Separate power supply for display and control circuits •No output relays •Frequency-independent damping factor •Proprietary Gryphon double binding posts •Automatic Green Class A bias setting or manual Low/High bias selection•AC power status and polarity display •Rigid mechanical structure •Microprocessor-controlled non-invasive “smart” protection system •Double sealed, mil spec PCB with 105 µm copper traces•Upgradeable microprocessor software. 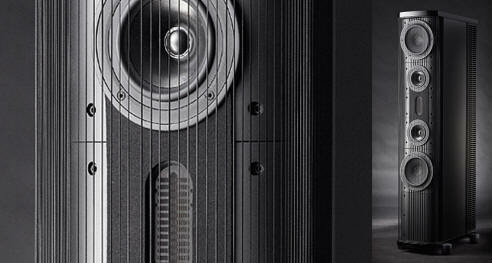 Amplificatore stereofonico in pura Classe A Potenza: 2 x 175 watt su 8 ohm, 2 x 350 watt su 4 ohm, 2 x 700 watt su 2 ohm, retroazione negativa nulla, banco di condensatorida 500.000 microFarad, configurazione puro dual mono, separazione dei canali infinita, rapporto segnale rumore 20 Hz - 20 kHz < -80 dB, rapporto segnale rumore A < -83 dB, gamma dinamica: 111 dB, distorsione (THD+N): < 1% @ 175 W, < 0,06% @ 50 W, sensibilità di ingresso: 1,055 V, guadagno: +31 dB, banda (-3 dB): 0-400 kHz, impedenza d'ingresso: 20 kOhm, impedenza d'uscita: < 0,025 Ohm. 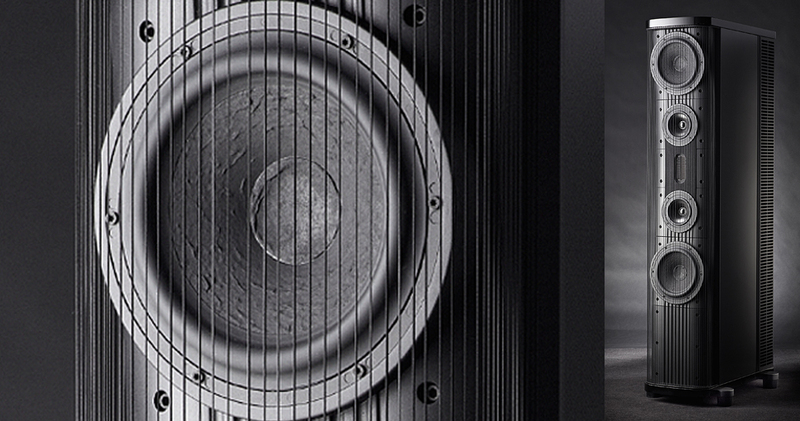 Dimensioni (LxAxP): 52x34x71 cm, peso: 108 kg. 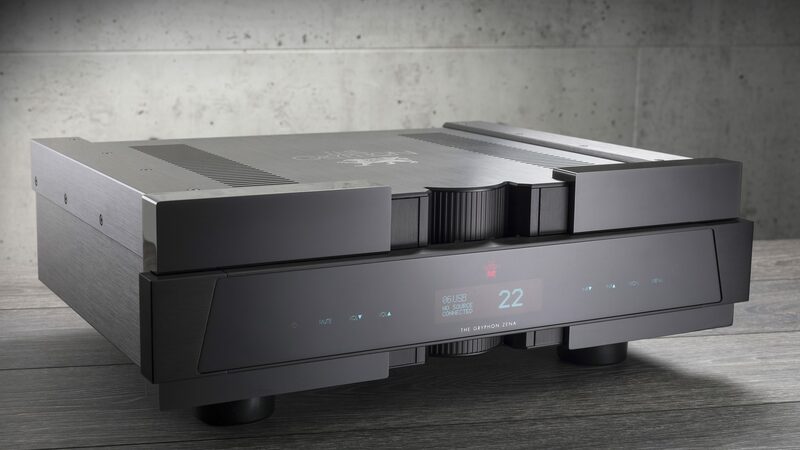 Amplificatore monofonico in pura Classe A Potenza: 175 watt su 8 ohm, rapporto segnale rumore 20 Hz - 20 kHz < -78 dB, rapporto segnale rumore A < -81 dB, gammadinamica: 111 dB, distorsione (THD+N): < 1% @ 175 W, < 0,06% @ 50 W, sensibilità di ingresso: 1,055 V, guadagno: +31 dB, banda (-3 dB): 0-350 kHz, impedenza d'ingresso: 10 kOhm, impedenza d'uscita: < 0,02 Ohm. 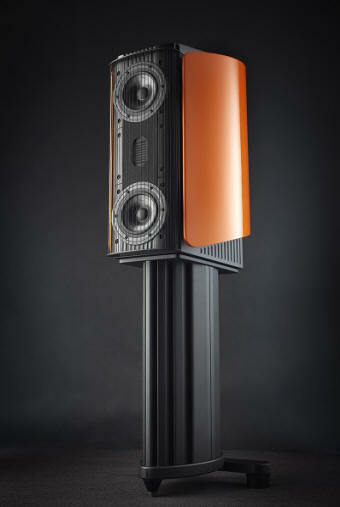 Dimensioni (LxAxP): 2 x 57x26x60 cm, peso: 2 x 80 kg. 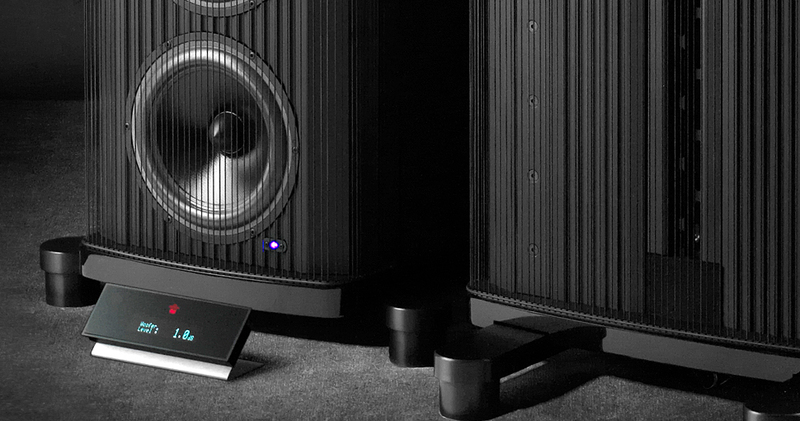 segnale rumore 20 Hz - 20 kHz < -80 dB, rapporto segnale rumore A < -83 dB, gamma dinamica: 111 dB, distorsione (THD+N): < 1% @ 200 W, < 0,06% @ 50 W, sensibilità di ingresso: 1,13 V, guadagno: +31 dB, banda (-3 dB): 0-400 kHz, impedenza d'ingresso: 10 kOhm, impedenza d'uscita: < 0,013 Ohm. 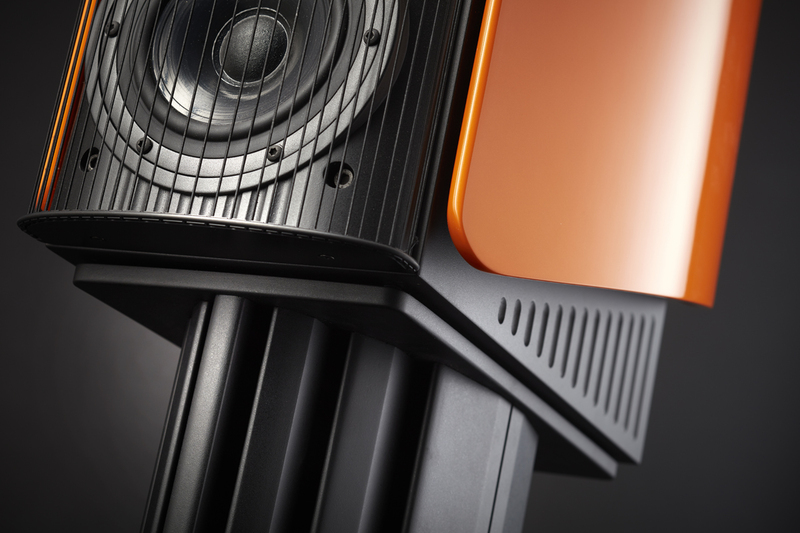 Dimensioni (LxAxP): 2 x 52x34x71 cm, peso: 2 x 108 kg. 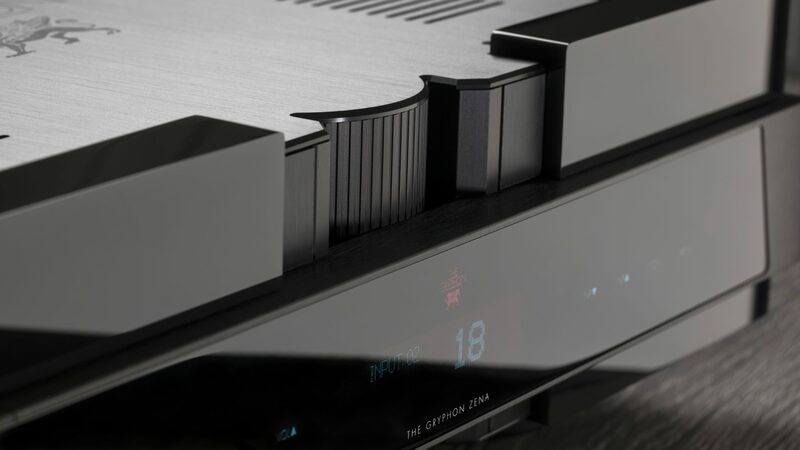 Lettore CD Sovracampionamento fino a 32bit/192 kHz, 4 convertitori DAC doppio differenziale AKM con alimentazione separata, filtraggio per le altissime frequenze ultra pure, vera classe A, alimentazione totalmente isolata, meccanica europea con caricamento frontale, banchi di condensatori da 15.000 μF per canale, uscite bilanciate AES/EBU e BNC S/PDIF, telecomando. 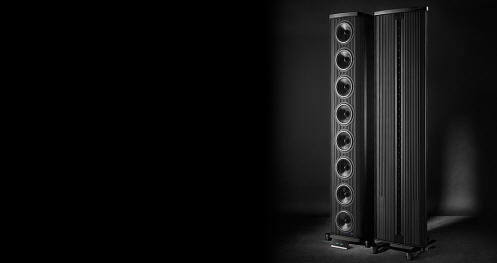 Dimensioni (LxAxP): 48x13,5x41,5 cm, peso: 9,6 kg. 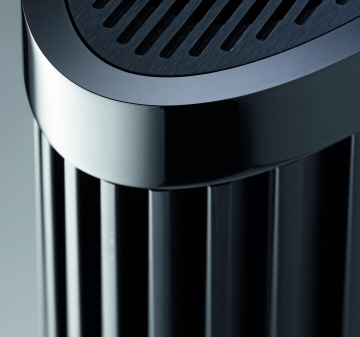 Kodo Diffusori da pavimento Sistema di riferimento a quattro colonne, linea del basso amplificata. 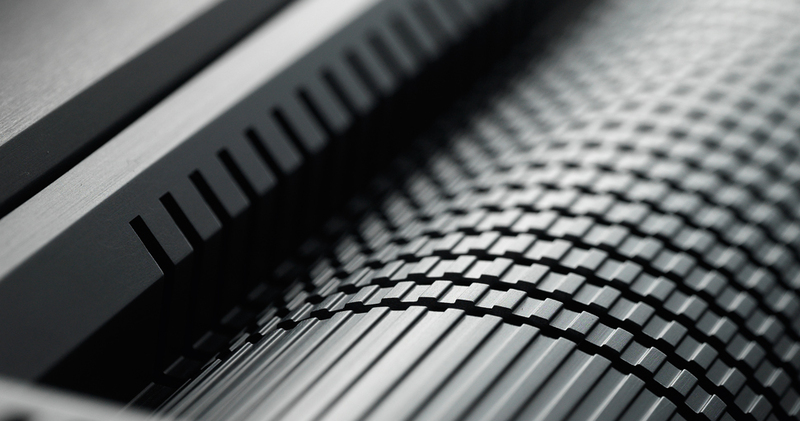 Risposta in frequenza 6 Hz - 25 kHz @ +3 dB (a seconda dell'impostazione Q e delle dimensioni della stanza), crossover Duelund a fase costante, telecomando per regolare impostazioni Q, livello del basso e taglio delle basse frequenze, 38 altoparlanti custom ampiamente modificati, tweeter German Air Motion Transformer, midrange da 4 pollici montati in vani separati, midwoofer proprietari Gryphon da 5 pollici montati in vani separati, woofer da 8 pollici con sistema a doppio magnete, torre dei bassi capace di erogare 1.000 Watt continui su 4 ohm, controller integrato Linkwitz-Greiner Q, finiture disponibili virtualmente infinite. 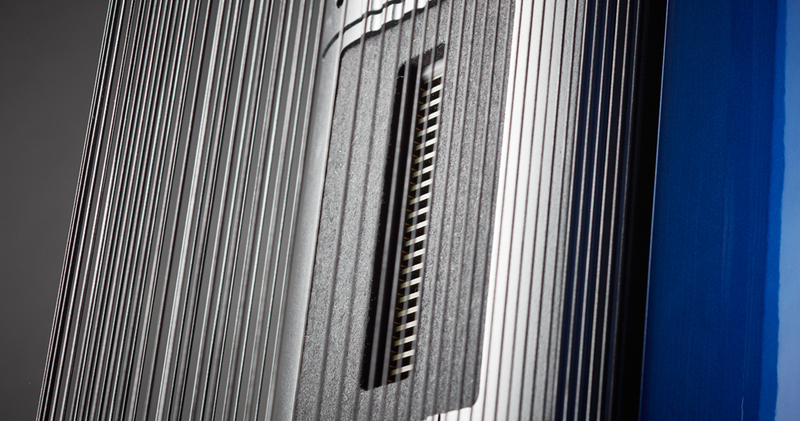 Dimensioni (LxAxP): nd, peso: nd. 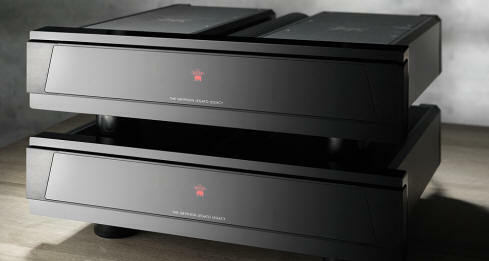 Kodo “Exclusive. Danish. 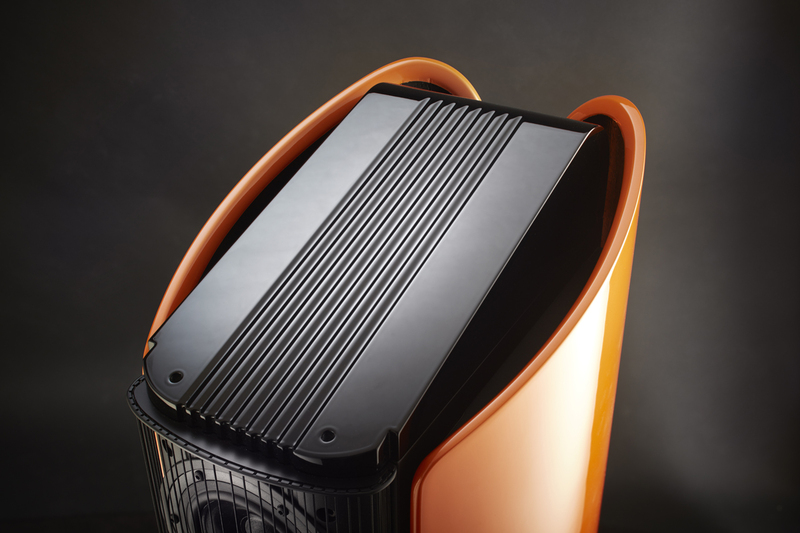 Peak performance. 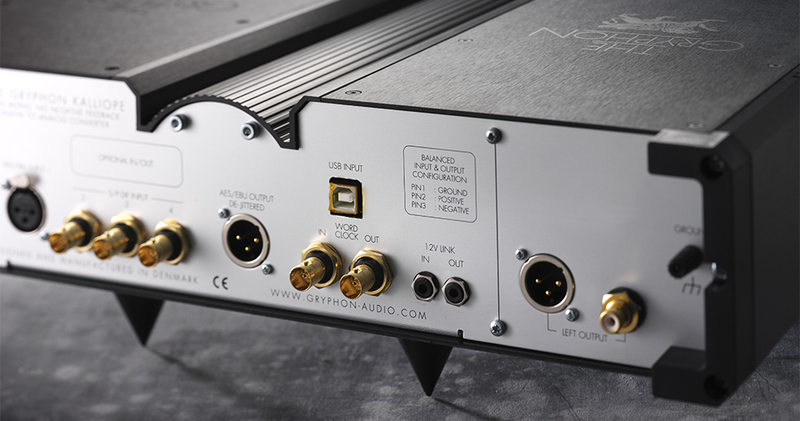 That’s how audiophiles view Flemming Rasmussen’s prestigious Gryphon Audio Designs brand.” www.sixmoons.com Few High End manufacturers on either side of the electronics/loudspeaker divide have even attempted to bridge that gap. 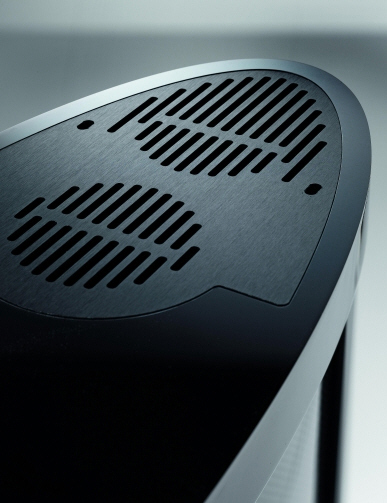 Fewer still have managed to do electronics and speakers equally well and be widely acknowledged as masters in both fields. 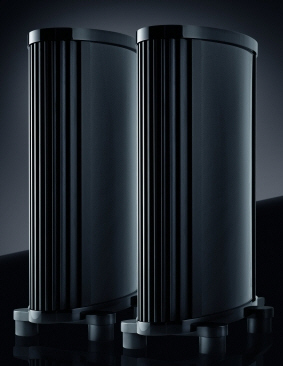 In less skilled hands, a loudspeaker system consisting of 38 drive units spread across four 237 cm tall towers could very easily turn into a Frankenstein’s monster science project. 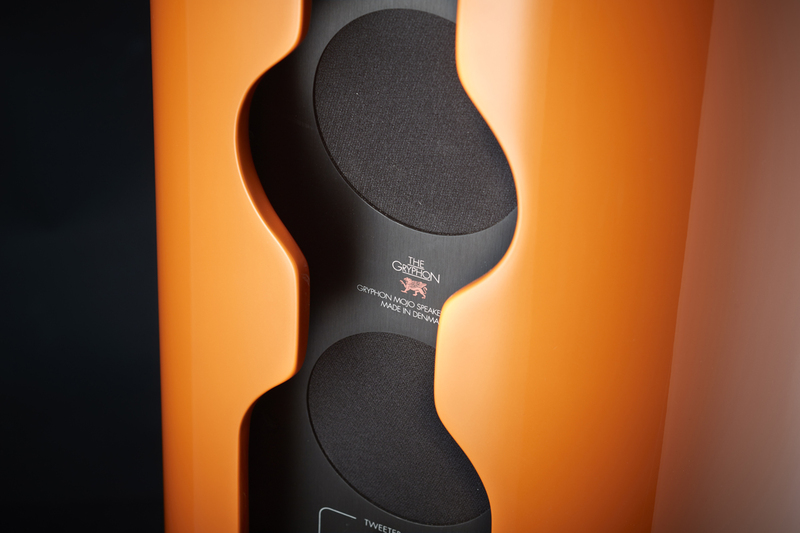 But precisely because the Gryphon design team is equally at ease with transducers as with amplification, they – perhaps uniquely – possess the necessary prowess and ambition to pull off the formidable feat that is the Gryphon Kodo four-tower reference loudspeaker system. 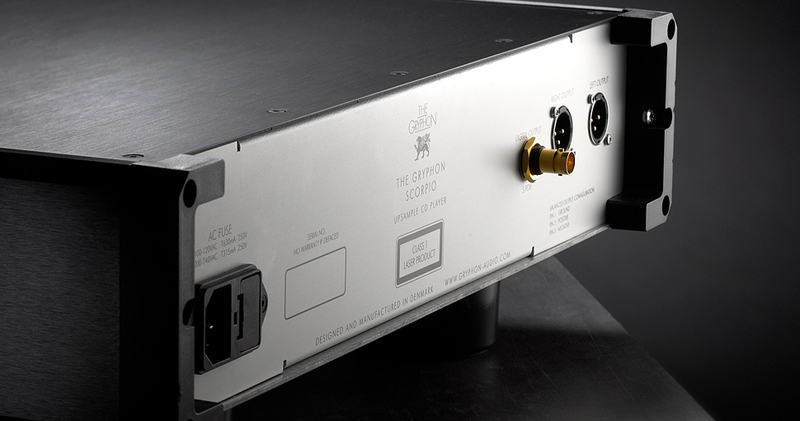 Beginning with the now legendary Gryphon Poseidon in 2004 (the first public result of 10 years of top secret, in-house experimentation), Gryphon has continued to explore the numerous benefits of a closer integration of electronics and loudspeakers in our top of the line products. 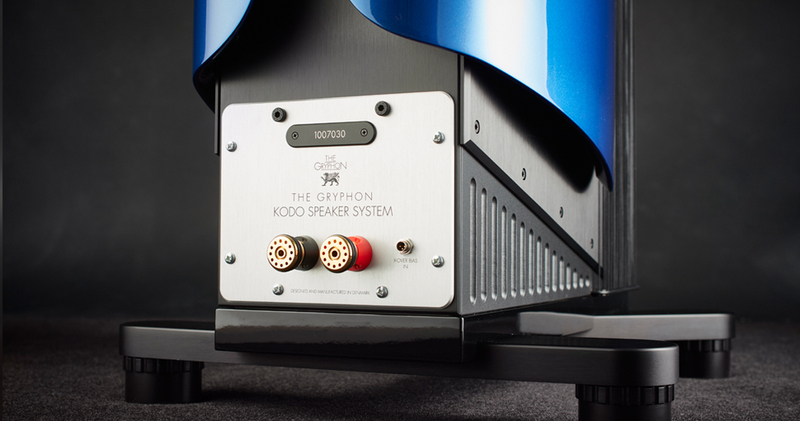 Now, the Gryphon Kodo stands as the pinnacle of the loudspeaker designer’s art and craft. 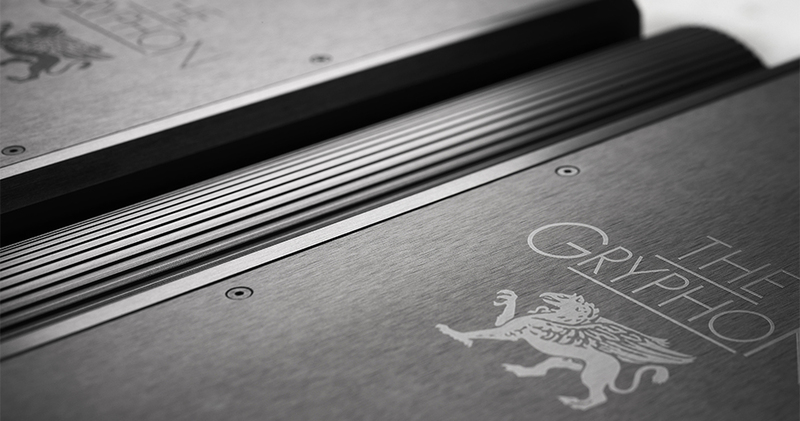 In selecting a finish for your Gryphon Kodo loudspeaker system, the possibilities are limited solely by your imagination. 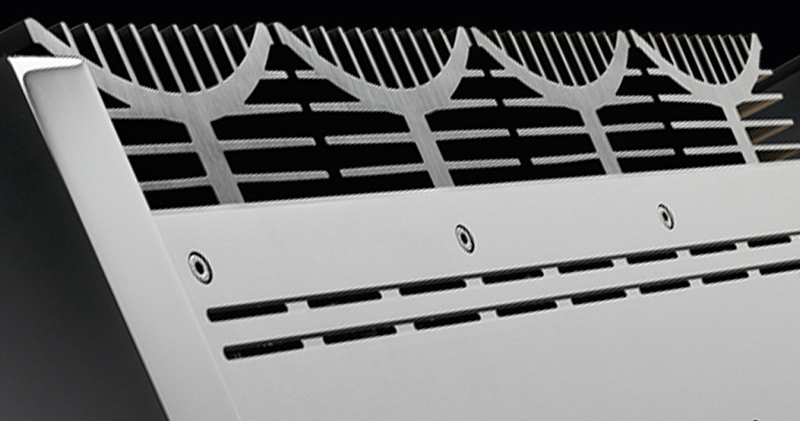 Because the side panels are based on an original modular construction that makes removing and replacing them child’s play, your choice is no longer a one-time only, lifetime proposition. 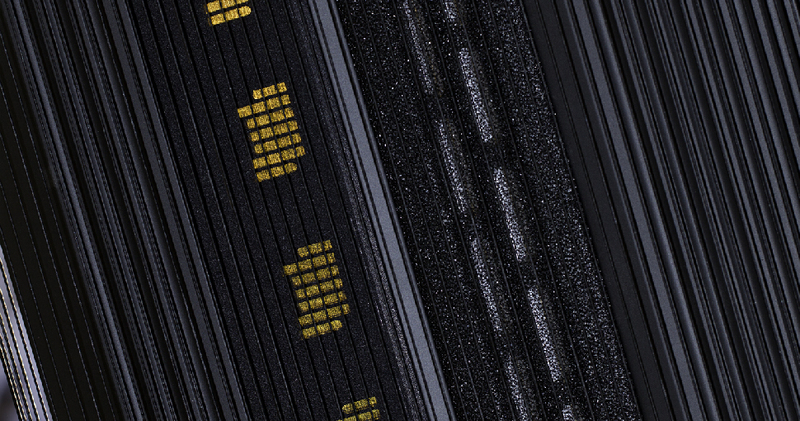 Guideline Reference Cavo di interconnessione Conduttore in argento e oro, disponibile in coppia da un metro con terminazione XLR. Lunghezze superiori a richiesta. V.I.P. 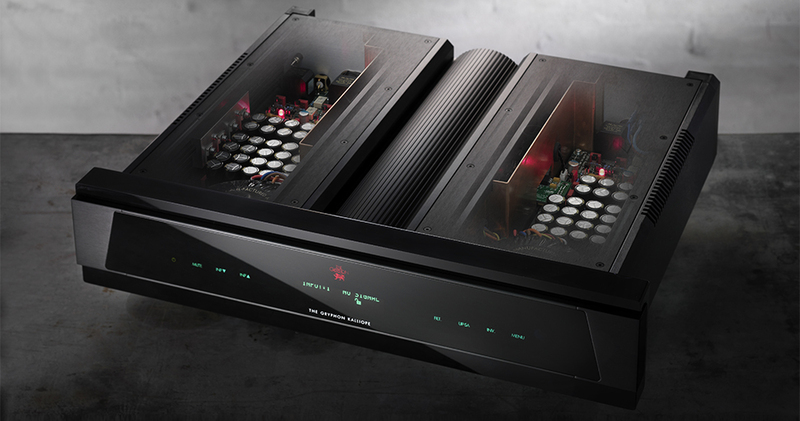 Series Interconnect Cavo di interconnessione Cavo OCC in argento, disponibile in coppia da un metro con terminazione XLR o RCA. Lunghezze superiori a richiesta. V.I.P. 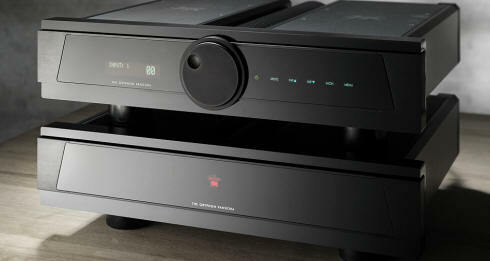 Series M5 Reference Cavo di alimentazione Lunghezzza cavo due metri, presa maschio non inclusa. 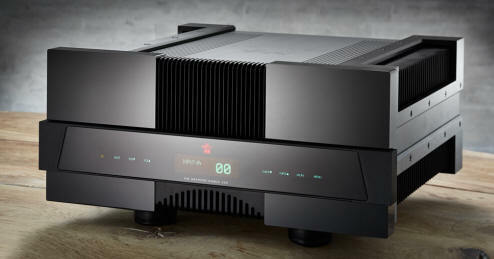 Disponibile anche terminato per Colosseum, Antileon Mono, Mephisto Mono. Lunghezze superiori a richiesta. 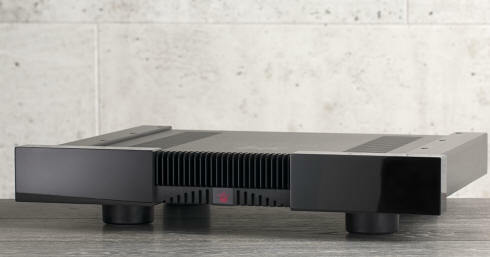 Atlas Spikes - NOVITA'! 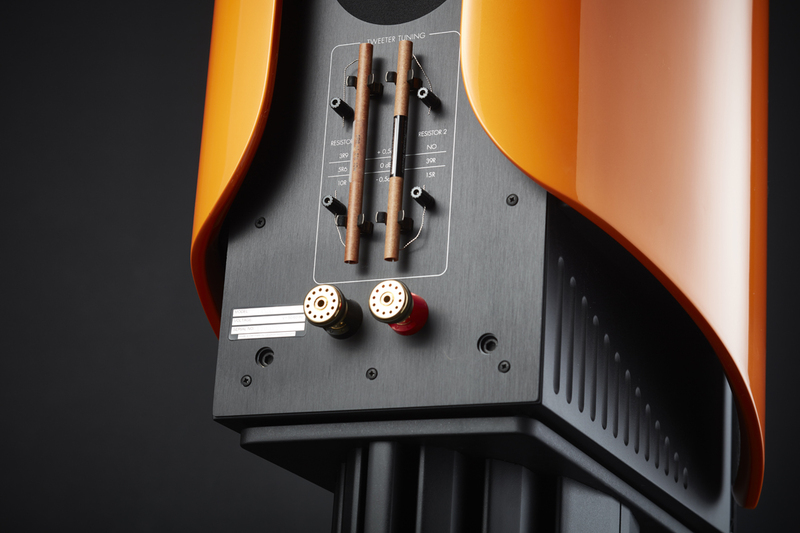 Punte per elettroniche e diffusori Coni speciali in poliossimetilene, alluminio e acciaio temperato, adatti per elettroniche e diffusori. Set di quattro pezzi. 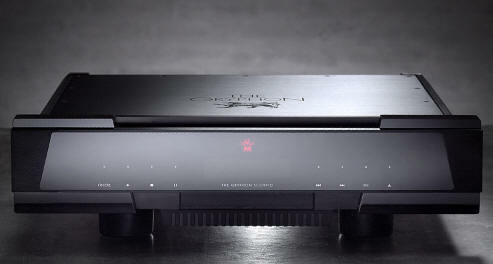 Black Spike ST m Punte per elettroniche e diffusori Coni speciali in polimero con punte in acciaio, adatti per elettroniche e diffusori. Set di quattro pezzi. 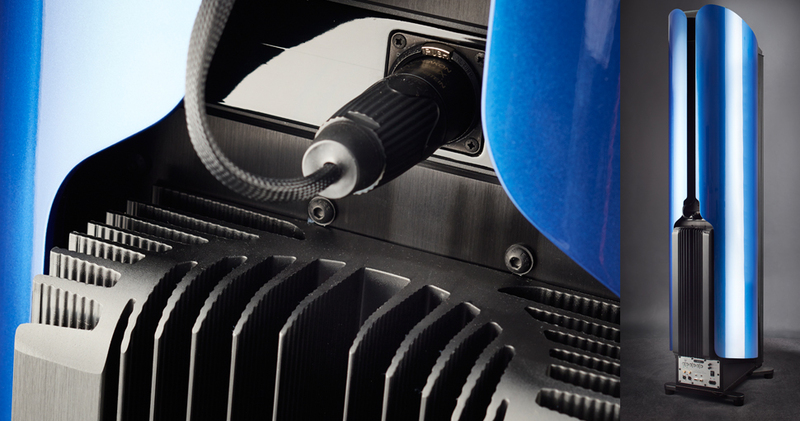 Powerzone II Presa elettrica multipla Presa multipla di corrente con sei ingressi, materiali speciali, costruzione su specifiche aeronautiche.